They were excitedly the happiest men on planet earth when American music superstar,Kanye West signed them into his G.O.O.D Music. The Nigerian entertainment industry and music pundits within and outside Nigeria celebrated with them…but little did they know that their new union would crumble the rosy relationship that has existed between them over the years. This is the story of a successful and awards winning entertainer,Dapo Oyebanjo popularly known as D’Banj and his long-time friend and producer,Micheal Collins Ajereh,better known as Don Jazzy,both founders of renowned Mo’hits crew. When the news of the duo’s possible break-up came up last week,it became worrisome to some pundits,especially their fans,seeing the two closest friends finally parting-ways,while others believe that it might be a publicity stunt designed to achieve a targeted goal.They described D’Banj and Don Jazzy as “ joint product” that cannot be separated for whatever interest. Sources revealed that D’Banj was becoming too arrogant to everybody including Don-Jazzy, and efforts to curb him had been difficult. Coming out to lay the rumour to rest was Don Jazzy. He took to his twitter page and tweeted, "Good day friends. So sorry I have been away for long as I have been going through some changes in my life. Some of the Rumours you have all heard recently are sad but true. The way forward now is to make sure I keep bringing you guys more of the beautiful music you all love to dance to. There have been quite a lot of speculations on what could have led to their disagreement. 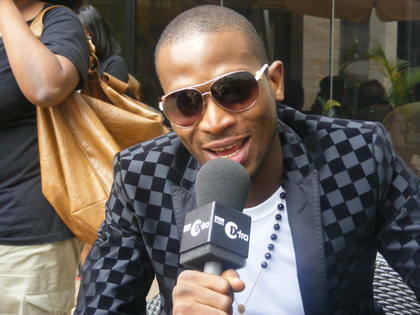 D’Banj’s egocentric attitude,we gathered is one of the reasons the duo fell apart. According to information reaching us,D’Banj has been acting funny lately and always disregards any decision made by Don Jazzy and any other Mo Hits Crew concerning how they run the company. D’Banj is naturally one person that is egocentric but one person he respects a lot is Don Jazzy.He has always been the face of the brand because Don Jazzy is more preoccupied with technical work but of late he doesn’t even regard Don Jazzy anymore.This is because they have been having issues.There was even a time he told Don Jazzy that without him,there will be no Mo’Hits Records. No one can really tell what has got into him but the fact remains that he has allowed certain things to get to him which has obviously affected his relationship with Don Jazzy. There has been a sharing formula on whatever D’Banj makes as an artiste.A certain percentage is expected to be remitted to Mo’Hits account from any show and endorsement deal any artiste on the label gets. Don Jazzy,being the producer makes no money from shows and hardly produce any other artiste,but lives on the money the artistes make from shows because he is the President of Mo Hits. The issue of money started about 4 years ago when D’Banj got the Globacom Endorsement deal.D’Banj is said to have refused to remit the company’s percentage and based on the fact that there is no written agreement between them Don Jazzy could not question his decision. There are too many issues to start talking about how money got in between them.Most notable ones are the Globacom deal and Presidential election campaign deal. Remember Don Jazzy said it clear on Twitter that he never collected any money from the president.Though D’Banj has been the one financing most of their projects but it is believed that he should be remitting certain back to run the company. D’Banj’s mother is one person that has been the backbone of Mo Hits record from the outset. For certain reasons,sources disclosed,she got displeased with Don Jazzy and other members of Mo’Hits Record allegedly encouraging D’Banj to move on without them. D’Banj’s mother,we learnt has been the one in control of their activities lately and is not in any way pleased with what he gives back to the label having been the one making all the money. The deal between MoHIts records and G.O.O.D music owned by American Rapper,Kanye West,is one of the best things to ever happen to the Nigerian music industry.While many people celebrated the deal,little did they know it will eventually cause a rift between them. Details of what went wrong is yet to be ascertained but our source alleged that “Don Jazzy was more favoured in the deal than D’Banj. Don Jazzy,reports say,has already produced a track for Good Music. During the removal of fuel subsidy protest in Lagos,Don Jazzy made a comment on Twitter disregarding the action of the president to have increased fuel price. He also noted that he never collected any money for the presidential campaign done by D’Banj in 2011. The statement,we gathered got D’Banj very upset and cause a big rift between them. Sunday Are the CEO of List Entertainment has been the manager of D’Banj for years and he also runs the management company for MoHits record. Sometimes in 2009,Bankuli who has been their close friend for many years came into the picture and rather than refer to Sunday Are as his manager,he started associating more with Bankuli. Late last year,he made it known that he wanted to have a change of manager and chose Bankuli,but Don Jazzy disagreed and decided to keep Sunday Are as the manager of MohIts Records. Right now Bankuli has taken over the management of D’Banj while Sunday Are remains the manager of other Mo’Hits artistes. The delay of the release of Wande Coal’s album,sources disclosed,was initiated by D’Banj. Just like he delayed the release of his first album M2M for his last album,D’Banj,insiders disclosed intends not to have Wande release any album until he releases his own. After much pressure on Don Jazzy to release Wande Coal’s album,he dropped three singles which D’Banj according to sources was not happy about. Wande has always been a threat to D’Banj and he believes Don Jazzy should put more energy on his own work rather than Wande or any other artiste on Mo’Hits. That Don Jazzy released three singles from Wande’s forthcoming album may have been the final straw that broke the camel’s back and that is one big reason they fell apart.